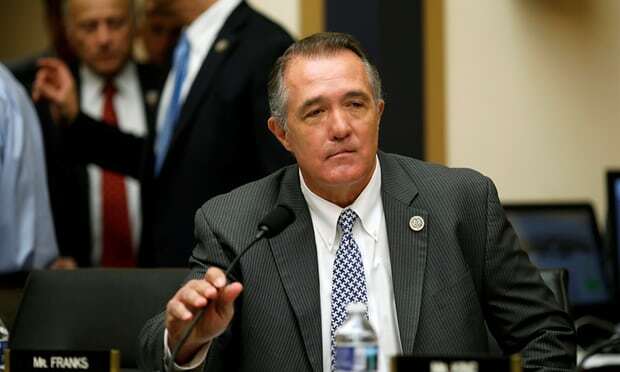 The congressman’s statement said he deeply regretted that his discussion of surrogacy in the workplace “caused distress”, but he left unclear the circumstances of the discussion. A source familiar with the allegations said that Franks asked two female staffers who worked for him at the time to be surrogate mothers for his child. Franks’s office refused to comment on that issue. He also shared details about the difficulties he and his wife had had conceiving a child, including three miscarriages and two failed attempts to adopt a child before a “wonderful and loving lady” acted as a gestational surrogate for their twins. He said the process was a “pro-life approach that did not discard or throw away any embryos”.